It's often said that investments in real estate are attractive because they deliver robust cash flows, provide competitive returns compared to other asset classes, act as a hedge against inflation, and help in diversifying a portfolio with fewer correlations. At RealBlocks, we believe tokens backed by real estate assets incorporate the advantages above in addition to the added benefits of liquidity. Moreover, instead of speculative pricing of the utility tokens in the market, we expect the token prices of tokens offered through our platform to reflect the value of the underlying real estate assets themselves. As mentioned earlier, unlike the speculative pricing of utility tokens, we believe security tokens backed by real estate assets will be valued based on their underlying assets. Real estate, just like other income generating asset classes, is valued based on its potential to produce income and long-term price appreciation. Valuation of the real estate portfolio is undertaken at the issuer level at the time of onboarding these assets on our RealBlocks platform. Subsequently, a broker-dealer is responsible for underwriting the assets in question. This process is designed to ensure that deals are thoroughly vetted before they are onboarded. We expect the token price will vary for each offering as a direct function of the amount of the capital an issuer seeks to raise. Once an offering has been subscribed on our platform, the tokens would be traded at the market-determined price on the RealBlocks peer-to-peer exchange. However, as these tokens denote an ownership interest in income-producing real assets, we expect their value to be stable and correlated with the Net Asset Value (“NAV”) of the underlying portfolio. We expect investors will receive quarterly updates on the NAV, asset performance, cash flow, vacancy and other related metrics. We expect the LP interests in offerings consummated on our platform will be fulfilled by multiple feeder offerings, each designed to comply with applicable United States securities laws. These feeder offerings can be specific to, and categorized by, accredited investors in the United States, qualified purchasers and investors outside the United States. The Token architecture will be designed to ensure that the trading and transfer restrictions applicable under various applicable securities laws are enforced, ensuring compliance from day 1. Our RealBlocks platform will be designed to allow investors to liquidate their positions by trading their holdings peer-to-peer on our platform. 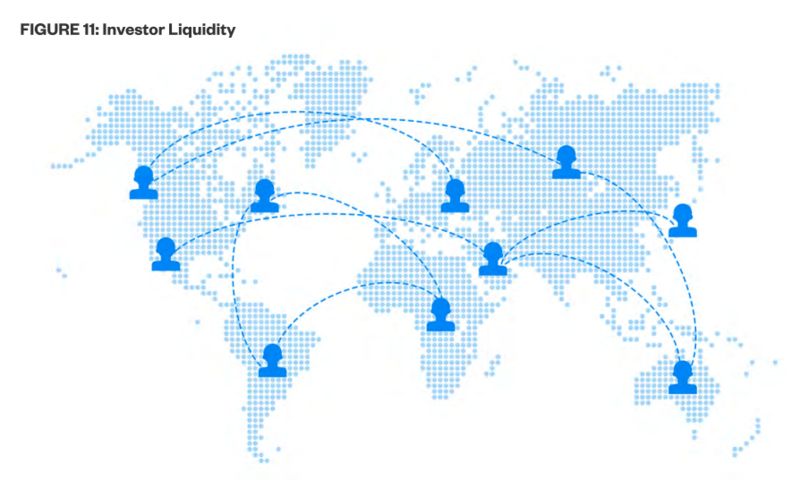 Once our platform is fully integrated with a security token exchange, we expect liquidity options for investors will increase even further. One of the advantages of utilizing tokenization for fundraising is the secondary offering ability it gives to the GP. 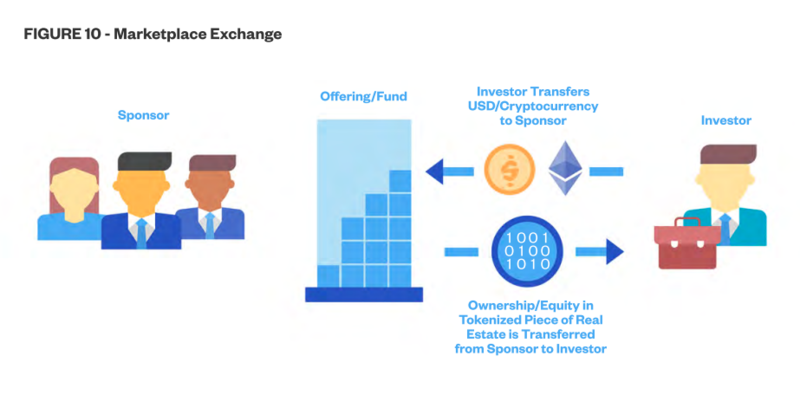 For example, if in the future the tokens are trading for more than the Net Asset Value (NAV) of the underlying portfolio they represent, the GP can sell more tokens on our RealBlocks platform/secondary exchange, thereby raising more capital while reducing its ownership of the GP interest held in the portfolio. In instances where the token is trading for less than the NAV of the portfolio, the GP can perform a token buyback or secondary repurchases in the market. 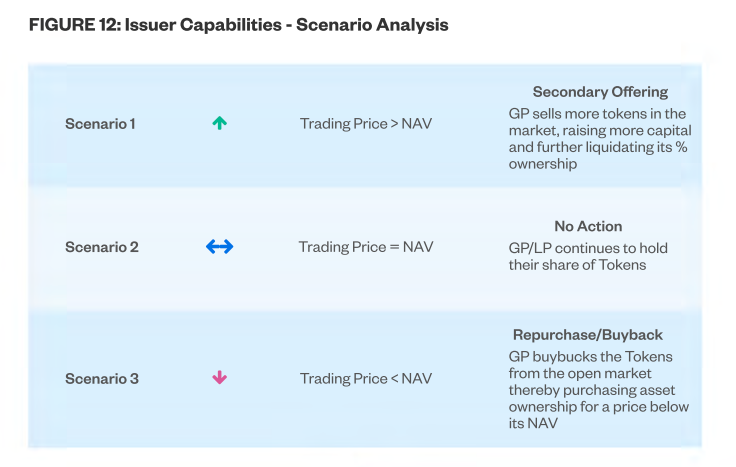 Such transactions at a price below the NAV will allow the GP to buy back a portion of its portfolio at a price lower than the price of initial issuance. In this case, the GP ends up increasing its share of GP interest at the expense of LP interest. Both secondary offerings or repurchases in the open market are bound to alter the prices at which tokens are trading. The prices of the tokens in the market will be determined by Token Supply - Demand dynamics.